A record 57.2 million passengers used the Copenhagen Metro last year – an increase of 1.2 million compared to 2014, according to its operator Metroselskabet. 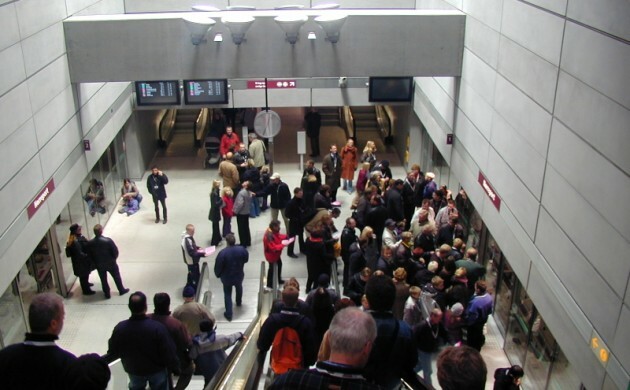 The number of passengers using the Metro has increased every year since it opened in 2002 – a development that has pleased Rebekka Nymark, the head of customer relations at Metroselskabet. “We are delighted that more and more people choose to use the Metro,” said Nymark. READ MORE: Voyage to the Metro: it beats seeing the Little Mermaid! It is the largest Metro stations in particular that have been attracting more passengers. The three largest stations – Nørreport, Kongens Nytorv and Christianshavn – saw some 25 million passengers during 2015. In contrast, some 110 million journeys are carried out on Copenhagen’s DSB S-trains every year. Voyage to the Metro: it beats seeing the Little Mermaid!